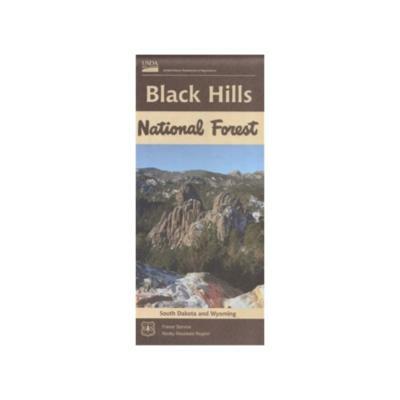 This comprehensive map of the entire Black Hills area – South Dakota and Wyoming – was last updated in 2017 and is printed on water-resistant/tear-resistant paper. 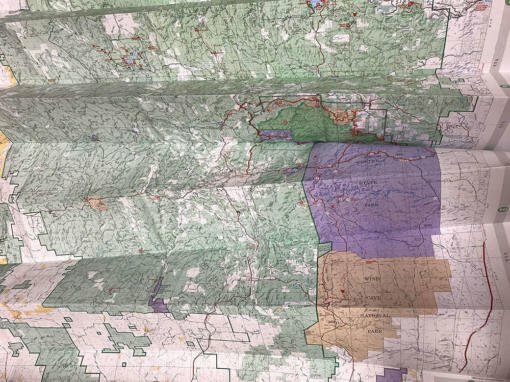 The map includes roads, trails, campgrounds, political boundaries and boundaries with private lands at the time of printing (2017). 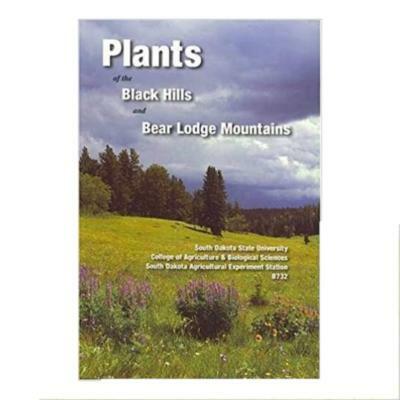 The map does not include topography or the recently implemented National Forest Motorized Vehicle Use (MVU) areas which require permits to utilize. This is a very useful map if you are looking for major roadways, towns, and attractions. 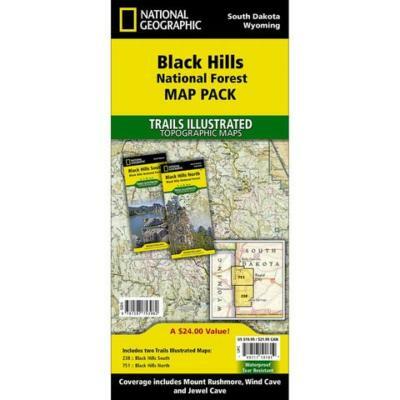 For hunters, hikers, and off road users, the Trails Illustrated maps offer topography. 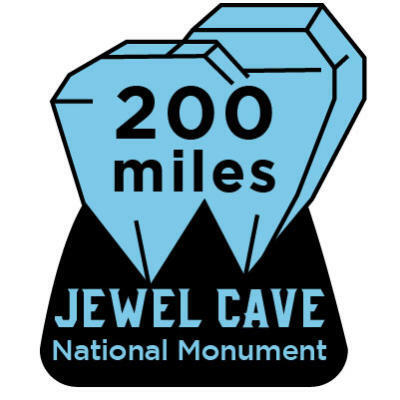 Please check out the Trails Illustrated/National Geographic maps. I have quite a few of these maps. If the government does anything well, its providing a GREAT map for its national forests and parks. Bravo to the team that keeps these updated. This map is so large that it makes it almost unusable. The Black Hills NF is about 7.5% larger than the Bighorn NF in terms of acres, yet this map is almost twice as large. It is going to be quite a chore for my navigator (wife) to guide us around the forest. Otherwise it will be an acceptable tool to help plan our visit. Being retired FS, the map is what I expected and it allows me to see where roads go and where private land is located. Friends and I are planning on a 10 day trip to Nemo in June to camp and ride our ATV’s. Look forward to a great time. 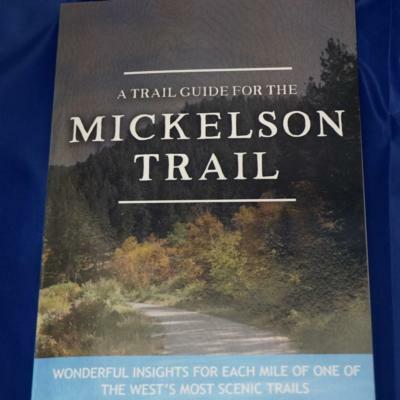 I purchased the map hoping to puzzle out where the Mickelson trail lay, and see how far it was from campgrounds along the way. The trail was nicely printed, along with the trailheads. Campgrounds were clearly marked. I like the sale. 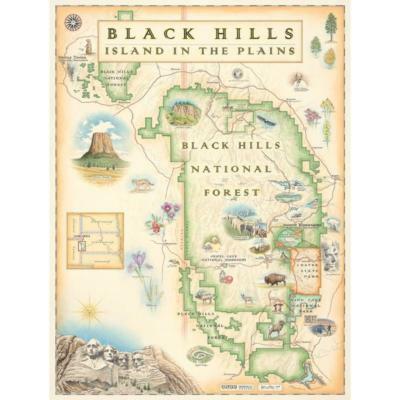 The map will be a great help to us as plan our trip South Dakota. Love the detail and the fishing spot info is an added bonus. Thank you for the prompt delivery. 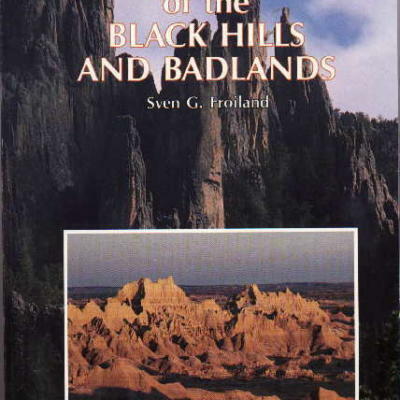 I’ll be running the Crazy Horse Half Marathon in Sept 2012 and after the race wanted to spend time revisiting the Black Hills. It’s been over 30 yrs since I last visited the area and although the sites haven’t changed, my memory doesn’t recall the area. 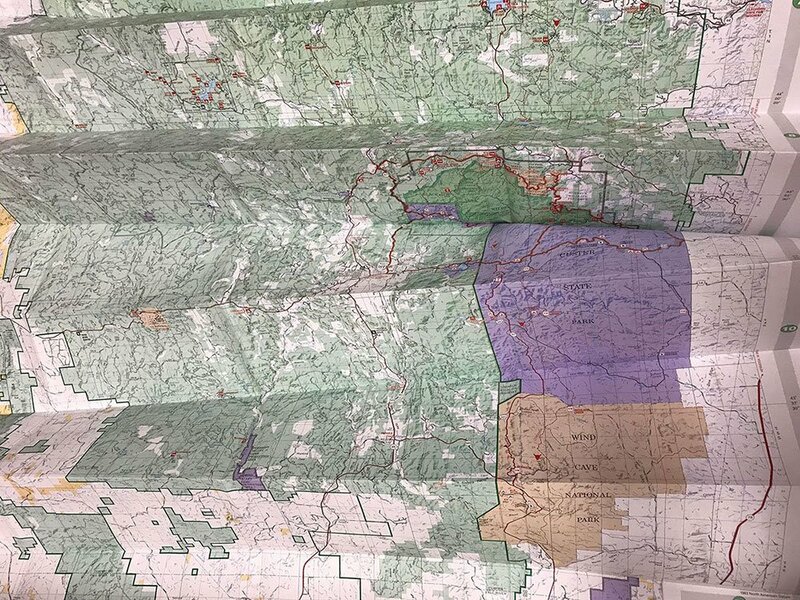 The Map of the National Forest will definitely help me tour the area for the extra time available. It’s great.